The Declaration is to lay the broader framework on which the more specific elements of the Agenda will rest in a separate outcome document. These will be adopted at the UN Summit on 25-27 September tilted “Delivering on and Implementing a Transformative Post-2015 Development Agenda”. The Declaration was discussed at the second session of the Post-2015 process on 16-20 February at the UN headquarters in New York. The first session in January was a stocktaking one. The Co-facilitators of the negotiations, Ambassadors David Donoghue (Ireland) and Macharia Kamau (Kenya), tabled a “Discussion Document for Declaration” before the Member States towards the middle of the week. This drew from comments to the Elements Paper for the declaration, circulated earlier by the Co-facilitators and which had received a round of comments during the first part of the February session. From the Member States’ views on the Elements Paper, major differences were evident between the developed and the developing countries in several aspects of what should be in the Declaration, especially regarding the underlying principles. In particular, the reference to common but differentiated responsibilities (CBDR) was stressed by all developing countries but rejected by the developed countries (see SUNS #7976 dated 6 March 2015). The Discussion Document contains 15 paragraphs. It does seem to incorporate several of the suggestions offered by both the developed and developing countries, and is therefore a list of the suggestions, but does not by any means represent a consensus. At the very beginning, the Co-facilitators state their view that “to be effective, this Declaration should not exceed three pages”. The first paragraph declares that the Agenda will have a bold and ambitious vision and include transformational goals and targets. The second paragraph talks about the link and “unfinished business” of the Millennium Development Goals (MDGs). This issue had been raised by several Member States in the first phase of the discussion. While this paragraph does provide a link with the MDGs, it still falls short of the ‘asks’. Many Member States had asked for continuity and integration between the MDGs and the Post-2015 Agenda, taking forward and building on commitments made under the MDGs including on MDG 8 (global partnership for development). Paragraph 3 identifies the “major global challenges to sustainable development, such as poverty and exclusion, unemployment, climate change, conflict and humanitarian crises”. Paragraph 4 mentions the underlying values of the UN. Paragraph 5 is specifically about the importance of building peaceful and inclusive societies, strengthening governance and institutions, and promoting the rule of law. This was a major point of contention during the discussion of the Open Working Group (OWG) on Sustainable Development Goals (SDGs) on Goal 16 related to this issue. Finally, Goal 16 had been formulated on the lines of “access to justice” to meet the concerns of all Member States. However, this particular listing of issues was brought up by several developed countries again during the February discussion on the Declaration. The document goes on to say that “poverty eradication is the greatest global challenge facing our world”, that “no one will be left behind”, and that “no target will be considered met unless it is met for all economic and social groupings” (paragraph 7). There is a specific mention of gender equality and women’s empowerment as critical for sustainable development. While the objective of poverty eradication as the primary goal has been agreed to by almost all, the standard set by the last could raise some concerns among poorer Member States. The document in paragraph 8 also acknowledges that the needs of countries in special situations – least developed countries (LDCs), land-locked developing countries (LLDCs), small island developing states (SIDS), African countries – and, of countries facing special challenges (conflict-affected countries and middle-income countries), have to be addressed. During the first part of the session, the Group of 77 and China, LDCs, SIDS, PSIDs, and African Group had all called strongly for a specific recognition of countries in special situations and to specific commitments for addressing their needs. Paragraph 9 says that the Agenda must be universal and applicable to all countries, but “at the same time we take into account different national realities, capacities and levels of development”. It goes on to say that “national ownership is critical”. This universality principle but with differentiation taking into account national level situations was a major ask from the developing countries. The document specifically mentions the need for action to combat climate change, widest possible international cooperation and the urgency of a universal climate agreement. This issue was also raised by several Member States. The recognition that the SDGs form the basis of the Post-2015 negotiations as agreed in the General Assembly, was strongly put forward by the G-77 and China and separately raised by many developing countries. It is important to note that the Elements Paper actually had no clear mention of the SDGs at all. The six elements discussed in the S-G Synthesis Report had been advanced as the key framework in the Elements Paper, and several developing countries had wanted further discussions on it. Brazil had suggested using four of these rather than six, i.e. “people”, “prosperity”, “planet” and “partnership”. Paragraph 12 says that “implementation will require an ambitious and effective global partnership which will deliver in full on global goals”. While there is mention of an “ambitious and effective” global partnership, there is no mention that this has to be led by governments, with greater responsibility of developed country governments at that. Multistakeholder partnership is of course highlighted, and the paragraph talks of “active engagement needed from governments as well as civil society, the private sector and the UN system”. The responsibility of governments in this global partnership for development is again placed at par with all other partners including the private sector, a concern repeatedly voiced by many civil society organisations and some government delegations. Paragraph 12 also says (we) “welcome the agreement reached in Addis Ababa on Means of Implementation”, referring to the upcoming Third International Conference on Financing for Development (Ffd) in July. This seems quite in contrast to what several developing countries have been articulating during both the January and February sessions. The latter clearly articulated that while the Ffd process may have important bearing for the Post-2015 process, means of implementation (MOI) in the Post-2015 Agenda is in addition to and independent of the Ffd outcome. Paragraph 14 delves into the principles underpinning the declaration. It says that the “agenda is guided by the purposes and principles of the Charter of the United Nations. Grounded also in the (UN Declaration on Human Rights) and other human rights commitments, including the right to development. Inspired by the Rio Declaration (including, inter alia, the principle of CBDR) and by the Millennium Declaration. Based also on Rio+20 Outcome Document, and on proposal of the Open Working Group on Sustainable Development Goals. Informed by SG’s Synthesis Report”. It is curious that the principles underlying the Declaration come at the end rather than the beginning of the document as this should be the major foundation of the Declaration as well as the Post-2015 Development Agenda itself. The principles find themselves in the penultimate paragraph in spite of specific requests from certain Member States that this part be moved up to the first section. It is also interesting that CBDR finds a cursory mention within brackets considering this was the most consistent ask across the developing countries. The dilution of the principles perhaps is a clear indication of the battles that are to come over the Declaration. The last and 15th paragraph ends with a “final call to action which could recall the foundation of the UN 70 years ago and draw parallels with the scale of the challenge faced today and the response now decided on by world leaders. Emphasis on significance of new agenda for ordinary people around the world”. There is also a mention of the “vital contributions to be made by governments, parliaments, private sector, civil society etc” again, as in paragraph 12, putting at par the role of government and other actors. At the end there is a clear mention of the timeline for ending poverty and the last sentence says “we commit to achieving the goal of ending poverty within fifteen years and of preserving our planet for today’s young people and future generations”. It is to be noted that this Discussion Document does not provide final language and is just another step in the move towards reaching an agreed Declaration. Initial comments were made by Member States on the Discussion Paper. Given the short time to respond, many country groupings did not give inputs due presumably to lack of time for coordination. The G-77 and China at the very outset suggested that comments on the length of the document should be later determined according to the content (responding to the Co-facilitators’ preference for no more than three pages). The Group wanted a discussion document that “reflects a balance of the SDGs as contained in the OWG-SDGs Report” and in which “the transition from the MDGs to the SDGs and lessons learnt should also be addressed”. It also pointed out that “we need to adhere to the agreed conceptual frameworks such as the OWG on SDGs Report to ensure integration of the three dimensions of Sustainable Development”. The Group wanted that “paragraphs addressing the imperative of poverty eradication must be front-loaded as this imperative is the overarching goal of the post-development agenda” and found the list of challenges to be non-exhaustive and wanted future opportunities to ensure inclusion of challenges afflicting developing countries. The G-77 and China also noted that “the declaration makes no mention of important agreed concepts and principles such as sovereignty, territorial integrity, self-determination, cultural diversity, equality, social inclusion and Sustainable Consumption and Production (SCP) patterns”. Instead of “common fundamental values”, it called for adherence to the agreed formulation namely, “purposes and principles of the UN charter”. The Group pointed out two major lacunae with respect to policy space and CBDR. “Most importantly, the Group notes that there is no reflection of ‘policy space’ in the declaration to ensure national ownership and alignment with national development plans and programs”. On CBDR, the statement said, “while the notion of differentiation is acknowledged in the document, the Group would have preferred to see clear reference to the principle of Common but Differentiated Responsibilities (CBDR). The Group reiterates its view that the seminal principle of CBDR cannot be re-negotiated”. Reiterating the importance of the SDGs and the OWG process, the G-77 and China said “the OWG on SDGs will serve as the main basis for the integration of the SDGs into the post-2015 development agenda while other inputs will also be considered. The Group reiterates its view that the use of other inputs should in no way tamper with the substance and political balance of the OWG on SDGs Report”. The statement also highlighted the comprehensive nature of MOI required for the Agenda. “While we recognise that mention of the means of implementation was made in the discussion document we wish to emphasise that the means of implementation in the form of financial assistance, technology transfer and development, and capacity building remain of critical importance to the Group of 77 and China,” it pointed out. Brazil said that “the discussion document needs to reflect an appropriate balance in regards to the SDGs that were negotiated in the Open Working Group, and to provide a vision for the future. Issues that are really transformative, such as promoting equality and changing unsustainable consumption and production patterns should not be downplayed, as they currently are, while Goal 16 is being selectively overemphasised. In fact, it is the only goal out of 17 to deserve a single paragraph in your short and concise document. We can appreciate brevity. However, let’s not be brief at the expense of positions that are supported by many, if not a majority of Member States”. On paragraph 3, Brazil said that it misses the inter-linkage between the three pillars of sustainable development. 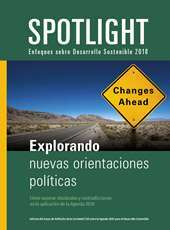 Agreeing with the idea in paragraph 7 of prioritising the most vulnerable, Brazil disagreed with the suggestions of “no target will be considered met unless it is met for all economic and social groupings” and “leave none behind”, arguing that the latter in particular does not address issues of inequity. It is better to adhere to agreed language on “poverty eradication and combating inequality” which implies “no one is left behind and no one receives a blank check”. Brazil asked that the conclusion of “Doha Round of multilateral trade negotiations in a manner that delivers on its development mandate, fundamentally linked to the elimination of trade distorting agricultural subsidies” be added to paragraph 10. “We also need to mention the importance of reforming institutions of global governance and international financial institutions,” it added. On paragraph 12, “the importance of technology facilitation for the achievement of the new agenda should be highlighted”. 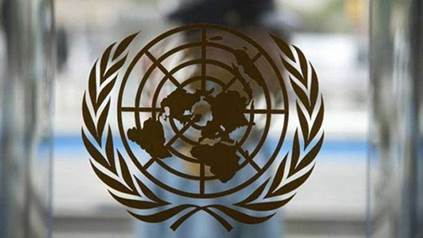 India, in its comments, said that “generally, while we are happy that the Discussion draft does capture many of the issues, it does so in manner that is selective and somehow disturbs the balance of the SDGs”. It also cautioned against over-simplification of the Declaration. “Communicability cannot be at the cost of substance,” it stressed. India also pointed out, “the lack of a strong reference to technology, which holds the golden key to the problem of sustainability, is jarring by its absence”. Egypt, in its statement, supported the G-77 position on limiting the number of pages and suggested that the Declaration should focus on quality rather than quantity. On paragraph 1, when a bold vision, and transformative goals are addressed, MOI also needs to be addressed. It also suggested that paragraph 3 be replaced with paragraph 7 “which recognises poverty eradication as the greatest challenge to Sustainable Development” to which other threats as well as inequalities within and between countries could be added. On paragraph 4, Egypt suggested replacement of the word “Common Fundamental Values” with reference to the principles of the UN charter. On paragraph 10, it suggested the addition of a fair trading system, and systemic issues related to reform of international economic and financial institutions, along with climate change. On paragraph 11, Egypt reiterated that the OWG Report should be the main basis for integrating sustainable development into the Post-2015 Development Agenda. On paragraph 14, Egypt said that the Post-2015 Agenda should be stemming directly from Rio+20 and also that “CBDR is an agreed principle that we request it is moved to the forefront of the document”. On ‘shared responsibility’, while ‘sharing’ is absolutely desired, it has to be in terms of ‘shared commitment’ and ‘shared responsibility’ for ‘shared prosperity’, Bangladesh said. Paragraphs 3 and 7 should be viewed together and references to addressing “poverty-exclusion-inequality” within and among countries should be added. The statements of the developed countries were expectedly the almost total contrast from the developing countries. The EU also had difficulty with the paper singling out Rio Principle 7 on CBDR, which was designed in the context of global environmental degradation, and as such cannot apply to the entire agenda. But the UK wanted the Declaration to be braver and upfront, possibly in the first paragraph, with a framing concept that could be something like the six essential elements of the SG Report perhaps framed as actions or outcomes. It wanted a stronger articulation of the principle of universality and also supported the strong reference to climate change in the text. In reviewing Member States’ responses, it is clear that the differences over the Declaration, and in fact, probably over the entire agenda itself, are as large as ever. The differences over CBDR, MOI, global partnership and global systemic issues, which had been somewhat settled in the OWG Report, are again back on the table in this tough battle. In fact even the sanctity of the SDGs themselves as the basis for the Post-2015 Agenda is being challenged and new formulations and frameworks that have not even been discussed by Member States or were actually rejected are being persistently advanced. In spite of all the talk of an ambitious and transformational agenda, the Post-2015 framework will remain weak and meaningless unless Member States show a strong political resolve to deliver on this agenda including on the implementation issues. Note: This is the second part of a two-part article. The first part was published in SUNS #7976 dated 6 March 2015. Read the first part here. Source: SUNS #7978 Tuesday 10 March 2015.